"Put down that donut," my co-worker said to me. It was nine in the morning and I was at my desk, a cruller in one hand, a cup of tea in the other. "Don't take another bite, and spit out the piece you're chewing. We're taking you to Agora in two hours. You're going to want an empty stomach for this." And at half past eleven, as promised, my co-workers -- who were two seasoned Agora veterans -- took me for a five-minute drive which was more like a pilgrimage. A pilgrimage to the Mecca of meat. I'd been putting off going to Agora until now, because simply put, I was afraid of the gluttonous excess of it all. I had visions of a never-ending procession of meat, and me slowly slipping into a catatonic state between the fifth and sixth helping of steak. Agora was, after all, a churrascaria, the all-you-can-eat meat-a-palooza, the Brazilian contribution to American obesity. But before the meat feast to end all meat feasts started, I made a trip to the buffet line -- one of the most immaculate I've seen this side of Interstate 15 -- and scooped up mashed potato so smooth it could've passed for crème fraîche. Then there were the collard greens, deep emerald, full of chlorophyll and crunch. When I brought back a full plate, my two friends chortled. The buffet was beside the point, they said. "It's there only to appease the vegetarians who get dragged in here by their carnivorous friends." "We are men. We eat meat. Meat good!" On cue, a server dressed like a gaucho, wielding a saber threaded with heart-shaped bundles of beef, stopped at our table and began carving away at his cargo. Dripping with fat and juice, crusty brown on one side and bloody red on the other, this was the sirloin of sirloins. As a slice fell away under his knife, I pinched the top of the flap with a pair of tongs and transferred it to my plate. Seasoned simply with just salt and pepper, the sanguine sample of tender flesh tasted rich, beefy. The protein parade continued as another gentleman arrived bearing what looked like a giant shish-kabob. "Bacon-wrapped filet mignon," he said they were. "Give me three," I said back. These salty soft beef nuggets, I noted, were far too easy to consume, and far too enjoyable. Even the bacon-wrapped chicken breasts were perfect: juicy and flavorful to a fault. But the sausage, although tasty, was dry by comparison, lacking the fat and grease our palates now craved. Also mildly disappointing was the pork with parmesan. Arid and dusty, it seemed to be robbed of moisture. I set them aside and waited for another go round on the sirloin and the bacon-wrapped filet. The warm cheese rolls were worthy non-meat distractions, as was the fried banana. The former harbored the mild tang of cheddar and the soft texture of a freshly baked Pillsbury Crescent Roll. The latter was sprinkled with cinnamon, served on a banana leaf, and present on every table -- intended to be used as palate cleanser between bites of meat. As the gorging continued, we grew lethargic, conversation slowed, replaced by half-slurred proclamations of "Meat good. Stomach full. Must stop." By the end, we were useless lumps, slumped in our seats like sacks of potatoes. We had overdone it, and joked that a blood test taken at that very moment would have detected bovine DNA frolicking among our human cells. For the rest of the afternoon, I had what could only be described as a "meat headache," along with a strong desire to crawl into bed and hibernate for the winter. Sounds great not sure for lunch though but I got to give this place a try even though I heard the one in Long Beach is better. To me meat cooked perfectly is good meat. Medium rare or just warm in the middle. I love this restaurant but since I'm trying to stay away from too much meat, I only go to Agora for happy hour. They have $4 3 pieces of filet mignon wrapped in bacon, $3 chicken breast or sausage and FREE PLANTAINS AND CHEESE ROLLS. ohhhhhh those cheese rolls are to die forrrrrrrrrrrrr. my bf treated me and our roommates to Agora for dinner and I totally agree with you regarding all the meat. We LOVED the bacon wrapped filet and chicken but I did not like the pork at all. I found the parmesean to make it even more dry and harder to eat. I didn't care much for the sausage as well. I do think i could eat baskets and baskets of their cheese bread and the salad bar...Oh man! My bf is in love with the garlic rice. Looks like we're around the same neighborhood. This bodes well for me since i am clost to many of your food choices! Yay! Happy Meat Fest ummmm, New Years Elmo! Looks like a nice Rodizio....how did you manage without a nap after that meal? Me like meat too..*unh! pounds fist on chest* lol why did i reduce myself to a cavewoman? Ahh... I read too fast and mistook the half past eleven as PM - dayum, a AYCE brazilian that late @ night? I'm there! Nonetheless the food looked & sounded delish! Hahahahaha! Now I forgive you for not being able to keep up with me at Frenzy. I can't believe you did both of those on the same day. You're crazy. Craaaaaaazy! This one read like it is Greenfield in Long Beach. Probably too much meat for me. It sure look good. Just wondered if you heard about Newport Beach's Restaurant Week? Any restaurants worth checking out?? I have been to a few of these places,(they seem to be getting more and more popular) but I never knew about the one on Main! I'll have to take my 16 year old...he'd love it! How is it compared to Fogo de Chao? That set such a high bar for Brazilian bbq for me. I've tried Greenfield in Covina but that was just OK. Although they at least had chicken hearts. Do they have lambchops and the garlic sirloin? Those are the only meats I seem to enjoy. I can't believe you went for lunch. I end up in a food coma from stuffing my face. Dang, your co-workers are intense! But they sound like great friends. My lady co-workers are completely the opposite! Although they also yell at me when I eat donuts, when we lunch together, they take me to their favorite places (which only serve organic, locally grown, gluten-free, and free trade vegan produce)! But mashed potato that tastes like creme fraiche sounds better than any of the places that I eat at! 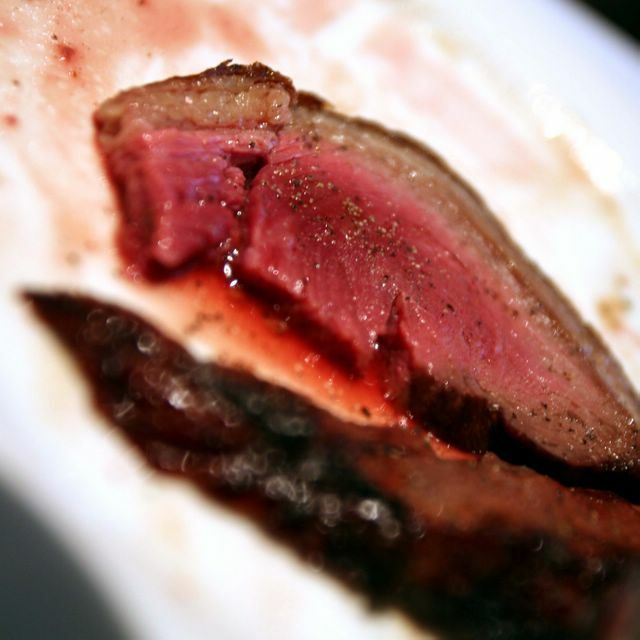 The beef looks bloody rare, don't u think ? hmm..cheese balls, yums ! off note : Hey wandering chopsticks, the Greenfield Churrascaria at Seal Beach is the best. Btw, try Pacific Palms for your lambchop & sirloin fix. Have a swing at golf & have some suckling pig too hehe. Yeah, lunch at a churrascaria was definitely not something I'd do again. Great food, but it definitely made my afternoon really sluggish. You're the first to mention about this place in Long Beach. By now, I know the name: Greenfield...I must venture out there. For dinner of course. Awesome! I didn't know they had a happy hour. I like that you can just buy a few items for cheap. That's the best way to control overdosing on the meat. I will definitely have to try this, especially now that you say those cheese rolls are free! Aren't those cheese rolls the best thing since sliced bread?! Actually much better than sliced bread. Tastier and more addictive. Happy New Years! I was fighting to stay awake all afternoon. The headache didn't go away until I went to sleep later that night. Never doing that again, not at lunch. LOL! You cracked me up! But really, you've got to try it. Great buffet, even better meat. Meat good! Aw man, that'd be awesome if it were true. But no, they close up at 10:00 pm. Yeah, that was some day of overeating. I had to fast the following day. I knew I was going to be in trouble as soon as I tasted the first piece of steak. This day is going to hurt, I thought. Greenfield seems to be the one everyone is comparing this place to. I must try it for myself! The only one out of the list I have had experience with is Taco Rosa. And I love that place. This sounds like a fun little shindig! For sure! One of my co-workers is a meat and potatoes guy. He's the one I think who enjoyed the place the most. But it's got stuff for the foodie too! I ended up in a coma too. I haven't been to Fogo de Chao or Greenfield. But it looks as thought Agora's lunch selection is not as complete as their dinner, where they do have lamb chops and chicken hearts and the garlic sirloin. Sounds like your female co-workers take you to places that are the polar opposite of where my co-workers like to go. I bet that I would've felt a lot better that afternoon if I had organic, locally grown, gluten-free, and free trade vegan produce. Oh yes, that beef was very rare! Not for the faint of heart for sure. I've got to try this Greenfields!!! Thanks for the tip! 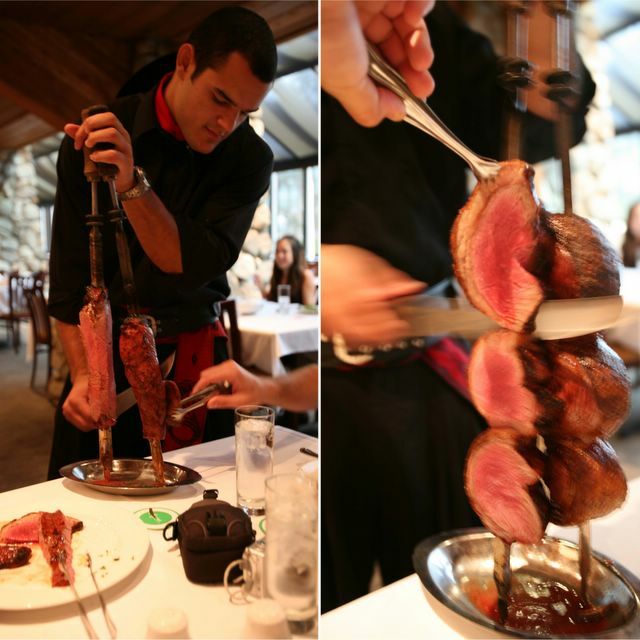 A much better OC churrascaria is Amazon Churrascaria in Fullerton. By the way, screw the LA Times for not listing Monster Munching in its round-up of best local food blogs. SCREW THEM TO APPLEBY'S!!! and i agree about the parmesean pork. the idea was good, execution...not so much. beefalicious definition - make this girl go crazy! My goodness! This looks too good. I had Brazilian BBQ a few times. Everytime I get sick of the meat afterward. Even though I still think it is really good, I just couldn't eat it anymore. Just looking at your pictures makes me crave for it. I think I'm definately going to go sometime this year. Wow! Thanks for the vote of confidence! Coming from you, that means a lot. Thanks for the comment. Those cheese rolls, mmm, still dreaming about them. Funny story, we couldn't finish them and begged the waitress for a takeout box. But she said it was against policy since they are a buffet, but she said underneath her breath, "Sneak them out with some paper napkins. But remember, I didn't say this to you and I never saw you leave." Yeah, I had salad for lunch the following day. And fish for dinner. Meat OD for sure! Membership is open to all genders! We are equal opportunity carnivores! Elmo - there is one in Rowland Heights at the mall which is very very good too...the meat was so succulent and moist that the juice was bursting all over my face...I wasn't kidding (but I guess I am a clumsy eater!). LOL. This post has given me one of my favorite catch-phrases ever: "Me man! Meat Good!" Thank you for this nugget of comedic splendor. And as I have said before, if God didn't want us to eat meat, cows, pigs and chickens would have defensive shielding and photon torpedoes. Elmo, you're my food reviewer hero! I can only hope to write as well as you! Some of my friends and I include food pix in our blogs from time to time to share with our friends but you've taken it one step further. Thanks for all the cool info, it's great to check out all the places that you're gone and compare notes! Keep up the great restaurant reviews! i'm still trying to untangle the mystery of why you're not included in the LA Times local foodbloggers article. but let's not forget that you alone made it into the BEST of OC WEEKLY. keep up the tasty writing. I don't think I would ever refuse a churrascaria dinner. It's like hometown buffet but actually good and delightful haha. happy new year Elmo. Ah, yes, that place in the Puente Hills Mall. I've been there. I believe it was called Roda Viva at the time. Food and experience was pretty good, with the exception of one thing: I found a big metal staple in their asparagus salad. I showed the manager and all he did was take it away without a word. Oh well, I thought, and kept on eating. I think the place is called Oba Oba now. Hopefully, they're a lot cleaner! I think a wise man once said "Cows are nature's way for us to consume grass". Thanks for those kind words. I'm glad you're enjoying my posts. Hope to churn out more as long as people like you keep reading! Happy New Year! 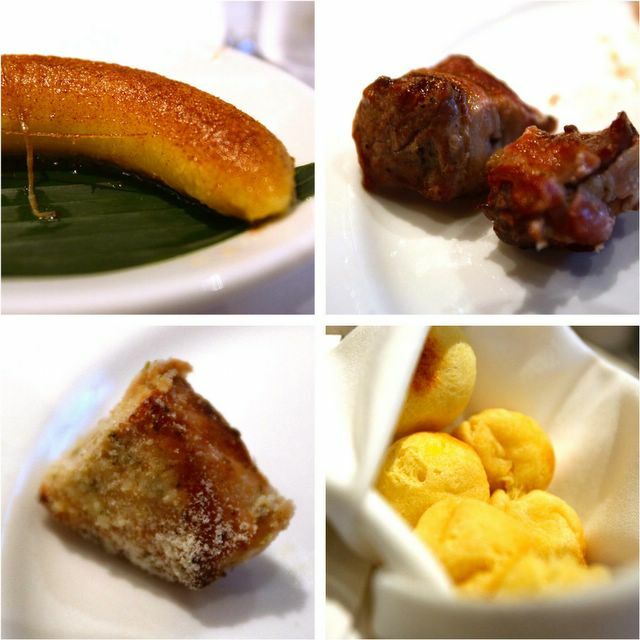 I'll gladly trade my churrascaria meal for your HK food adventure! Still jealous. After weeks of devouring your blog entry by entry, I found myself in posession of one package each udon and soba noodles. And no clue what to do with them. Not only that, I'm going back for bitter melon in about two weeks time. Any suggestions would be helpful. Hmm udon, eh?! My favorite way of eating them is in a light soy dashi broth, sprinkled with a little tempura crumbs and some finely diced scallions for flavor and color. At Asian markets they sell bottles of ready made broth (and soup bases) for both udon and soba. You'll be able to tell just by the picture of the two noodles on the bottle. And bittermelon! Wow, you're going full bore into it! Unfortunately, I don't know how to prepare it so that it's not so overwhelmingly bitter. My favorite way is how Magic Wok (a Filipino restaurant) prepares it, stir fried with pork! (a) Agora is a decent place. On an absolute scale it would be around a 6.5 out of 10, and consistent. At lunch time, they hold back the best meats; at dinner time, they are reserved about producing them. Their highest-quality meats are 8 out of 10, and their lowest - overcooked/dry/overflavored - are 3 or 4. The buffet is a 7 out of 10 - typically very fresh, but the selection of items isn't amazing. 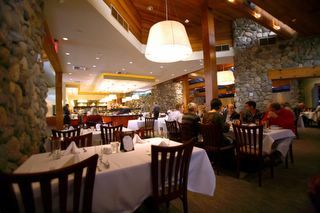 (b) The very best in this genre, locally, is Fogo de Chao in Beverly Hills. By a wide margin. Fogo's a bit more expensive, but substantially better in quality whether you're there at lunch or dinner time. On its best days - which are frequent - it's a 9.5 out of 10, and then only because it's too expensive (go at lunch time). On its worst days, it's a 8.5 or 9. The lamb is almost always to die for, the picanha and top sirloin are incredible, and the filet is actually filet-worthy. You may get lucky and get some rare/exotic meat there too, but it's not guaranteed. Service is fast and impeccable, and people I've taken there have repeatedly proclaimed it "best meal ever," in seriousness. 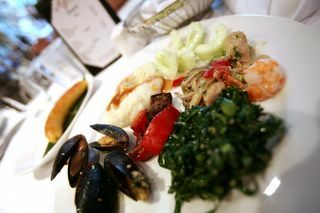 Vegetarians could eat from the buffet alone - the size, freshness, and quality of the vegetables there is awesome; it only misses full marks because there aren't shrimp or other high-end seafoot dishes to choose from. Hot meat is the star here. (c) Greenfield is inconsistent. There are times when it's a 7.5 or 8, other times when it's a 6 or 6.5. The Brazilian alcohol there can be gasoline-like in intensity, and the service spotty, with meats coming out only intermittently or overdone. Its buffet is large but the foods on choice aren't great; Fogo's is comparatively stunning. (d) Amazon in Fullerton is the spottiest of the bunch - it used to be acceptable before Agora showed up but generally isn't worth the drive from Irvine any more. They used to have all sorts of interesting, exotic meats, but cut back to a more traditional, boring menu. Overcooking and underseasoning are fairly common, and the buffet is pretty trashy. Service can range from very good (with the right waiter, who will hint that he deserves a special tip for the attention) to very bad. I haven't been back in months, but have had some good and some bad meals there. Just my thoughts. Hope they're useful to someone.